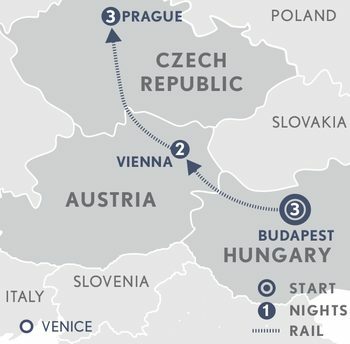 Travelling with A&K’s exclusive Concierge Rail Service makes train travel a joy and means you are ideally situated to make the most of your experience in Eastern Europe’s three cultural capitals. Each of these elegant cities has a rich history, revealed by your expert guides, much of it explored on foot. From music to art and architecture, special experiences are included to add a delightfully different flavour. 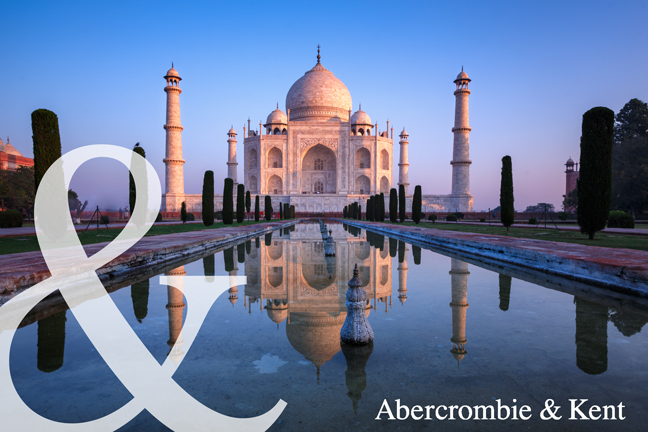 This is an Abercrombie & Kent private journey and can be tailor-made to fit with your travel dates and built around your desires. Upon arrival at Budapest airport you are be met by your Abercrombie & Kent ‘Guardian Angel’ and privately transferred to your hotel. The remainder of today is at leisure to relax. A city of two personalities this morning you explore the old imperial enclave of Buda on the western bank of the Danube. Cross the graceful Chain Bridge on foot and ascend by funicular to Castle Hill where the former Royal Palace gracefully towers over the Danube. Meander through the cobbled and colourful streets of this ancient Royal district and visit the Matthias Church, which has witnessed the coronation of many Hungarian Kings. Today you immerse yourself in the more vibrant, populous Pest starting at the market hall, well known for the vast array of produce and crafts on sale. Continue on to visit the ornate Great Synagogue which is the largest in Europe and its Jewish Museum. See the vast Heroes’ Square with its impressive Millennial Monument and St. Stephen’s Basilica, the city’s largest church. A private tour and operatic performance is organised in the imposing neo-Renaissance Opera House, built between 1875 and 1884. The building has been painstakingly restored after being severely damaged during the siege of the city in 1944-5. Afternoon at leisure. Travel with A&K’s Concierge Rail service into Austria and the former capital of the Hapsburg dynasty, Vienna. Take a walking tour this afternoon of this elegant city visiting the Hofburg Imperial Palace, St Stephen’s Cathedral and the famous ‘Ringstrasse’. Continue on foot this afternoon to the Hofburg Palace visiting the Imperial Treasury, the Gothic St. Stephen’s Cathedral with its glazed tile roof and the famous ‘Ringstrasse’ with its 19th century buildings. Finally, stop at one of the many traditional coffeehouses that were commonplace during the Imperial era. At that time, the city’s unique café culture flourished and attracted artists, poets and writers from across the globe. As your guide brings to life the stories behind these famous venues, sit back and enjoy some delicious cakes and pastries before returning to your hotel. Explore the Austrian capital your way. Choose between a tour to Schönbrunn Palace, the summer home of the Habsburgs, which contains over 1400 rooms. Visit, among other attractions, the ‘Hall of Mirrors’ where Mozart performed for the Empress Maria Theresa when he was only six years old. Stroll through the extensive formal gardens and the Carriage Museum. Or take a scenic drive through the Vienna Woods for a beautiful view over the city below. As you emerge from the woods, the picturesque town of Klosterneuburg comes into sight. Steeped in history and culture, Klosterneuburg was the site of one of the most important Roman fortresses which later became a monastery, founded in 1133, under the Babenberg ruler Leopold III. Visit the medieval cloisters of the Augustinian abbey that dominates the town, with its treasured “Verdun Altar”. This splendid example of Augustinian architecture is also the largest private wine producer in Austria. Be sure to sample some of the varietals before returning to Vienna. Your Guardian Angel delivers you to the railway station to board your train to Prague. This morning explore the ‘Golden City’ of Prague on foot starting at the Old Town Square with its network of narrow streets that make-up the heart of the city. Visit the Jewish Quarter, birthplace of Franz Kafka, the Jewish Museum, which houses the largest collection of Judaica in Europe, the Old New Synagogue and the Jewish Cemetery. Finish up at the city’s finest Neo-Classical building, the Estates Theatre, the venue for the premiere of Mozart’s Don Giovanni in 1787. A private tour and short recital by a chamber quintet is arranged for you. Enjoy the afternoon at leisure. Prague’s Castle District is your destination this morning. Start off at Hradcany Castle, the seat of Bohemian kings and holy Roman emperors. Visit the Cathedral of St. Vitus, one of the finest and most richly endowed in central Europe and the Basilica of St. George, which was founded in 905. Amble along the Golden Lane, a row of tiny houses dating from the 16th century and visit the Sanctuary of Our Lady of Loreto, an important place of pilgrimage. Lastly explore the Strahov Monastery with a private tour of the ornate Strahov library. Afternoon at leisure. Transfer to Prague Airport where your journey ends. An Art Nouveau landmark on the Danube River, Four Seasons Hotel Gresham Palace Budapest gracefully combines vintage architecture and design with a youthful exuberance and modern amenities. Of the Hotel’s 179 generously proportioned guest rooms, including 19 suites with vaulted ceilings and private step-out balconies, many offer views of intimate interior courtyards, the Old City or the sparkling Danube. The hotel’s SPA harnesses Budapest’s renowned heritage in wellness. The world-famous Hotel Sacher is as much a part of Vienna as the State Opera, the Riesenrad ferris wheel and the Lipizzaner stallions and is ideally located in the very heart of this fabulous city, opposite the State Opera and only five minutes from the Imperial Palace. The hotel’s long history is felt in every room, where modern comfort is perfectly blended with the charm of the Habsburg Empire. All rooms and suites are individually decorated with original oil paintings, precious rugs and silk wall coverings. Be sure to sample the hotel’s famous Sacher Torte, the recipe of which remains a well-kept secret to this day. The Four Seasons Hotel Prague is centrally located at the base of the Charles Bridge. The hotel consists of four buildings, architecturally structured in the Baroque and Neo-Renaissance styles. Guestrooms are spacious, comfortable and elegantly furnished. Guests can also enjoy the health club, sauna and spa facilities. Our list of the most rewarding hidden gems of Eastern Europe. Celebrated culinary experiences on every Crystal Mozart voyage.